Medical cannabis is supposed to be available in the Mountain State on July first, but federally charted banks have declined to accept any of the money in fear they'd be violating federal drug and banking laws. Attorney General Patrick Morrisey says that technically that is possible, but its unlikely there would be any prosecutions. So, the Legislature can set up a financial transaction system to handle medical marijuana payments and fees. "Number one, federal law prohibits medical cannabis. But, number two, there is a very clear non-enforcement policy of federal law that's been in place for a number of years. And in fact in 30 states we have not discovered that there's been any enforcement action," said Atty. Gen. Patrick Morrissey, (R) West Virginia. Marijuana legalization is reaching all-time highs for public support, but some officials still show opposition to the change. U.S. Attorney Mike Stuart, who is in charge of the Southern District of West Virginia, held an invite-only one-day symposium in Charleston. The event, titled “The Colorado Experiment: A Look Back and What You Need to Know” included guest speaker Bob Troyer, the former U.S. Attorney for the District of Colorado. At least one company interested in operating in the state’s fledgling medical cannabis industry has pulled out because of the lack of options to legally handle banking transactions. Frank Hartman is an attorney and lobbyist who said he was representing an in-state business that wanted to branch out into growing medical cannabis. Under the medical marijuana bill passed by the West Virginia Legislature in 2017, medical cannabis growers must pay a $50,000 license fee to the state. However, Hartman said prospective growers must also demonstrate that they have at least $500,000 in liquid assets. U.S. Attorney Mike Stuart of West Virginia, a Trump appointee who took office in January, didn’t spend much time in his new position before stirring up some controversy. Last week, Stuart tweeted about the “gateway theory,” a continuously debunked theory that marijuana leads to the use of harder, dangerous drugs. In the same tweet, Stuart promised to “AGGRESSIVELY” enforce federal marijuana laws. While U.S. Attorney Stuart, of course, gets to have his own opinions regarding cannabis, he doesn’t get to have his own facts. His tweet collides head-on with much of what scientists have learned about the herb. Time may be running out on a bill that would expand West Virginia laws for medical cannabis. The state senate was scheduled to vote on the bill on Friday, but has now delayed that until the final day of the legislative session, which is Saturday. The current law allows for only 30-medical cannabis dispensaries in the mountain state, but the new bill would allow for up to 100. Advocates said it's about allowing greater access, especially in rural areas. State Sen. Richard Ojeda, (D) Logan said, "The medical marijuana was focused on trying to take care of so many sick people that we have throughout this state. And it's important that those people have access to medicine." Currently, the state only allows MMJ to be dispensed as pills, oils, vape cartridges, and topical gels, but that could change soon thanks to the West Virginia Medical Cannabis Advisory Board. 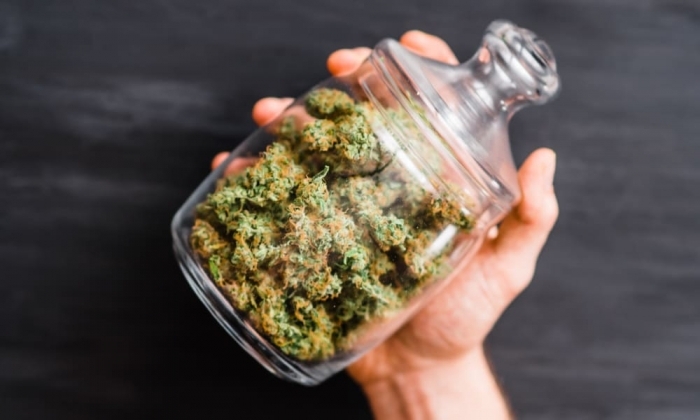 The West Virginia Medical Cannabis Advisory Board (MCAB) has recommended that state legislators expand the state's medical cannabis laws to allow certain patients to purchase and smoke marijuana flower. The first store selling medical cannabis is opened in Kanawha County. The products come in several different forms, from gummies and capsules to lotions. Wendy Newman suffers from Fibromyalgia, chronic fatigue and anxiety. The one thing she has found that eases her symptoms is cannabis from hemp. "It has been helping me tremendously,” Newman said. With the opening of Appalachian Cannabis Company on Saturday, she now has a place to get the CBD products that work for her. CBD stands for cannabidiol and unlike cannabis products that contain THC there is no high, and unlike opioids it is non-addictive. It may be two years before medical marijuana is available in West Virginia, but the wheels are in motion. Following legalization by the legislature and Governor, a 13-member Medical Cannabis Advisory Board has now been selected. It will study what has worked in other states. "We're not interested in reinventing the wheel. What we want to do is learn from the good and the bad, as well as obviously the things that we don't want to do from other states. And then focus on things that have worked in other states," said Dr. Rahul Gupta, Chairman of the Advisory Committee.